Gobble up another month of great specials! 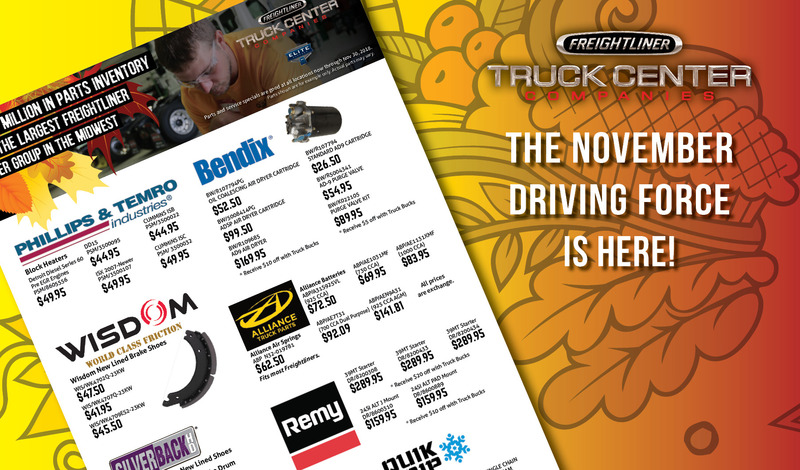 The November edition of The Driving Force is now available at all Truck Center Companies locations in Nebraska, Kansas, and Iowa, and it's turkeyrific! Now is your chance to save money on the parts you need, and stock up on equipment with the Driving Force, your best resource for deals on truck parts. Pick up a copy today at your local Truck Center Companies or read it online here. Don’t forget to follow us on social media to make sure you’re up-to-date on everything going on at TCC.